Everett Silvertips head coach Dennis Williams will represent Hockey Canada this November as he steps behind the bench for Team Canada Black at the 2018 World Under-17 Hockey Challenge. Also carrying the WHL flag at the annual U-17 event will be Moose Jaw Warriors assistant coach Mark O’Leary, who will serve as an assistant coach on Team Canada Red. The 2018 World Under-17 Hockey Challenge is scheduled for November 3-10 in Saint John and Quispamsis, N.B. Favreau (Halifax, QMJHL) and Smith (Saginaw, OHL) will join Williams behind the Team Canada Black bench. 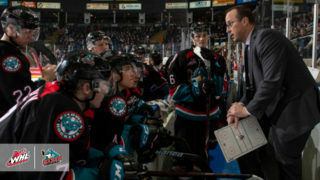 Williams, a 38-year-old native of Stratford, Ont., recently completed his first season as head coach of the Silvertips, leading the team to its second-consecutive U.S. Division title. 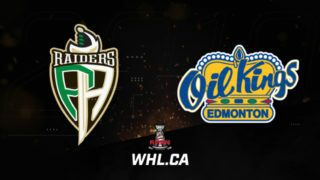 Under his leadership, the Silvertips set a franchise record with 246 goals and finished the season with 47 wins, the second-most in team history. 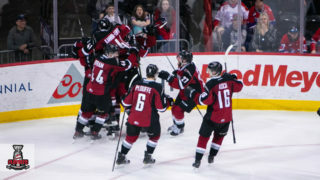 The club staked out a WHL Western Conference Championship, advancing to the WHL Championship Series before eventually falling to the Ed Chynoweth Cup champion Swift Current Broncos. 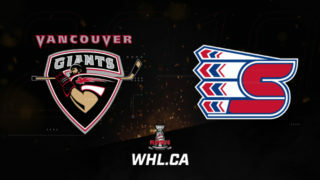 Williams was also named WHL Western Conference Coach of the Year for the 2017-18 season. As for O’Leary, he will work with head coach Louis Robitaille (Victoriaville, QMJHL) on the Team Canada Red bench. O’Leary has been an assistant coach with the Warriors since the 2012-13 season. 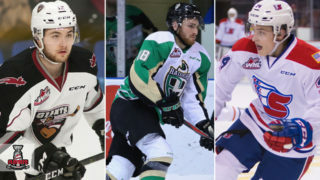 Following three seasons playing in the OHL – for Mississauga and Guelph – O’Leary headed to the Lone Star State to play in the CHL, where he ended his career in 2010-11 after stints in the ECHL and AHL. 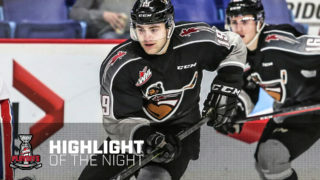 He served alongside head coach Tim Hunter as the Warriors laid claim to the first Scotty Munro Memorial Trophy in franchise history, earning the WHL’s regular season title for the 2017-18 season.